The recent bushfires in the Blue Mountains wreaked havoc on a great many properties and tragically, many residents lost both homes and personal possessions. It is with sadness that I also report on the loss of 'Elmhurst,' which was built and was the one time home of the Ipendanz family prior to purchase by the Catholic Church. The property was left to fall into a state of decay unfortunately when it was abandoned as the administration block for St Columba's High School. The property was listed on Blue Mountains City Council Heritage List and a report carried out by Professsor Ian Jack attests to its historic importance. It is sad that properties like this are not utilised to avoid their demise. Sir Francis Forbes, according to information supplied by Doug Knowles (Glenbrook Historical Society) applied for a grant of land that would have included - what today is known as – Euroka Clearing at Glenbrook. However, Forbes was unsuccessful in gaining the 500 acres he required for grazing and instead received some 355 acres that encompassed - the present day – Lapstone estate. 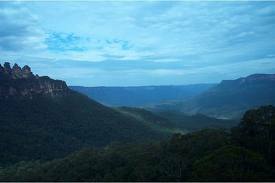 Euroka remained Crown Land until 1954 when the NPWS incorporated the property into the Blue Mountains National Park. Nevertheless, Forbes was granted a lease over the property in 1835, paying an annual rent of £10. After Forbes relinquished the lease in 1865 the following were subsequent leaseholders. Wheat was grown on the property in the time of John Rayner who had a mill at Emu Plains. It would seem that mining exploration took place on the property at various times because the Nepean Times reported 27.9.1884 (page 2) - when Edward Jones was the lessee - that exploration of the land hoped to find coal, shale oil. On the 20th August 1898 the Nepean Times newspaper reported that hundreds of people who lined the banks of the Nepean River, anxious to witness the launch of Henry Bennett's steam launch "Warragamba," were disappointed because a log - a relict of the old punt road - delayed the launching until the following day. (Nepean Times 20.8.1898) It was also reported that according to the wishes of the Temperance section of the community, water rather than champagne, was used for the christening of the launch. When Albert Bennett took up the lease of Euroka it is thought he built a residence and orchard in the vicinity of what was called Apple Tree Flat. He kept on the family business and is said to have used the river to move timber and produce down river to Penrith. Picnic parties were held at his farm where visiting guests imbibed spirits distilled by their host while playing games of two-up. Over indulgence at one of these parties may have caused the drowning of Thomas Hemsworth - reported in the Nepean Times 1.12.1914 (page10) – when he was swimming in the river with two other men. Albert Bennett went to his rescue but failed in his attempt to resuscitate the man. It seems the Bennett family provided both commercial and tourist steam boat service on the Nepean well into the 20th Century. 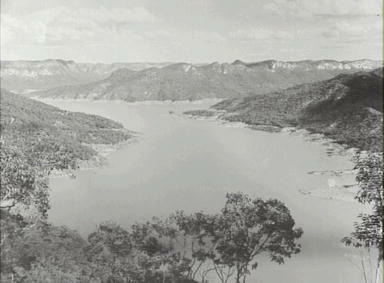 Albert Bennett also ran a cargo business that moved men and materials to and from the first site of Warragamba Dam. (Was the dam named for Henry Bennett's steam launch?) Use of supply boats was greatly improved when Bennett blasted a cart track along Euroka Creek to the junction of the river. Penrith City Council local studies hold biographical information about Henry Bennett and family. Andrew Moore, Superintendent Mackay And The Curious Case Of The Vanishing Scret Army, a response to Richard Evans, History Australia, Vol. 6, no. 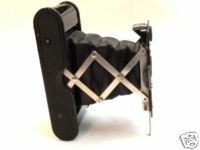 3, 2009, p. 72.3. Blue Mountains Association of Cultural Heritage Organisations Inc. 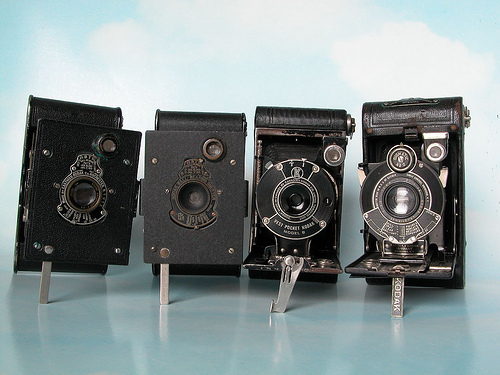 The Blue Mountains Association of Cultural Heritage Organisations Inc. have recently launched their new/revamped website. Available are digital newsletters and journals that provide a veritable wealth of information about the history of the Blue Mountains area as well as points of contact, links and various news and events. The site is well worth a visit. 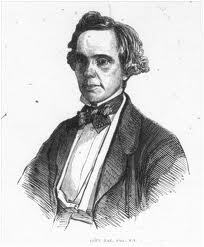 Rae, who was born in Scotland in 1813, was the son of a banker. He had been educated at Aberdeen Grammar School and later went on to study at the University of Aberdeen. Articled to a solicitor, he later continued his literary interests and law studies in Edinburgh. After deciding to migrate to Australia he joined the firm of North British Australasian Loan and Investment Co. He arrived in 1843 aboard the Kinnear. Unfortunately for Rae the firm was almost broke by the time he arrived. He married Elizabeth Thompson in 1854 and the couple made a home at Darlinghurst. Rae was the Town Clerk of Sydney in 1851, and together with Charles Cowper, he sought an investigation into the state of the Council. He supported the setting up of a select committee that appointed three commissioners: G. Eliot, F.O. Darvall and Rae himself. However charges of mismanagement and neglect saw the Legislative Assembly dismiss the commissioners and restore the Council to a corporation in 1857. Rae travelled overseas and was a noted educationalist, photographer, and amateur artist, painting for his own pleasure. Rae was also a director of the Australian Gaslight Co. and owner of the People’s Palace. The 1875 Sands Directory refers to Mr John Rae as being the Under Secretary of Public Works and Railways, while the 1882 Gibbs and Shallard directory mentions the residence of J. Rae at Valley Heights. This may very well have been the cottage Tusculum, as the index mentions that it was one of the principal residences then existing in Valley Heights. Other residences mentioned were those of I. Brennand, W. Deane, W. Dawson (Upton), and Mrs Berne. The Valley Heights property had first been acquired by Mr T.R. Smith under conditional purchase, but in later years was bought by Rae. Clarence Radford Chapman, a civil servant, together with Lancelot Percival Brennand, whose address was care of the Treasury, purchased the property when Rae died in 1900. In 1882 the Nepean Times reported that a discovery of silver had been found in the mountains. The article went on to say that the peculiar discovery had been made on the property of Mr John Rae by a pig rooting around in a paddock close to the homestead. A search of the area revealed Spanish dollars dated as old as 1804, bearing the heads of Ferdinand and Carolus. Amongst the hoard of coins was also a ‘colonial holey dollar’, a five-shilling Bank of England and four lion shillings dated 1826. The paper stated that the mystery was unlikely to be solved, since judging by the dates on the coins they had probably been buried for some fifty years.